يقع فندق Bamboo Motor Inn، المصمم ليناسب كل الضيوف سواء كانوا من رجال الأعمال أو السياح، في مكان ممتاز في أحد أكثر المناطق تفضيلاً في كاليمنا. يقع مركز المدينة المثير على بعد 0.5 km فقط. بالنسبة لمن يريد الخروج، هذه بعض المعالم السياحية المتوفرة للزوار ‪Griffiths' Sea Shell Museum & Marine Display‬, مولو ويه فشنج, كوركو. استمتع بالخدمات الراقية والضيافة التي لا مثيل لها بهذا الفندق في بحيرة إنترانس. إن واي فاي مجاني في جميع الغرف, تخزين الأمتعة, واي فاي في المناطق العامة, صف السيارات, غرفة عائلية هي جزء فقط من الخدمات التي تميز Bamboo Motor Inn عن باقي الفنادق في المدينة. 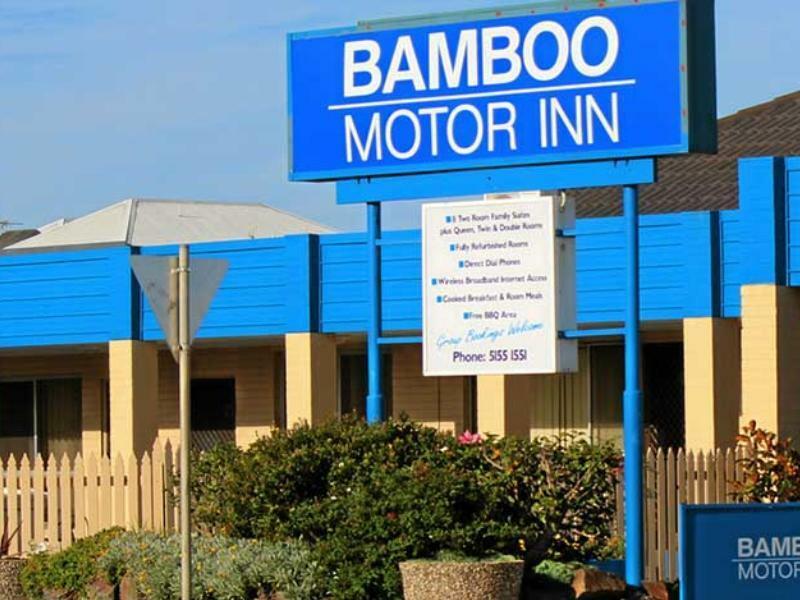 تنعكس أجواء Bamboo Motor Inn في غرف الضيوف.تلفزيون بشاشة مسطحة, اتصال لاسلكي بالإنترنت, غرف لغير المدخنين, مكيف هواء, تدفئة هي بعض الميزات الموجود في العديد من الغرف. سواء كنت من محبي الرياضة أو كنت تتطلع لتفريغ عناء نهار صعب، ستجد خدمات ذات مستوى عالي بانتظارك كمثل حديقة. إن Bamboo Motor Inn هو خيار ذكي بالنسبة للمسافرين إلى بحيرة إنترانس، بما يوفره من إقامة هادئة ومرحة. 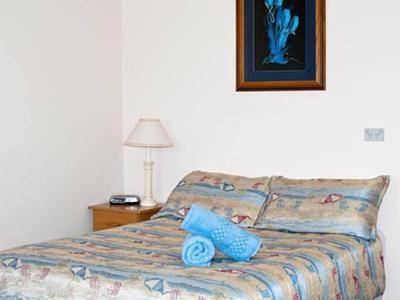 This is a great motel with everything that you could need for a relaxing stay in a wonderful part of the country. The owner was extremely friendly and gave us lots of tips as to where to eat/what to say. He also provided a good history of the surrounding area. Clean, spacious rooms are exactly what was needed for a relax! The staff there is so nice and friendly! We were requesting a late check-in and the manager there was just so nice to perfectly arrange all things for us. We enjoyed the stay and will definitely go back again. This place is in a great location, especially if you like night photography and want to walk along the jetty for some action of the trawlers leaving. 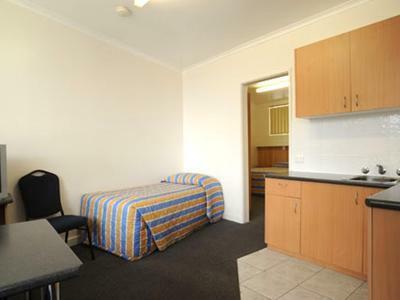 It's close to the RSL which is always s great feed and easy access to the Main Street and the put puts on the back road. Love it. Maybe just a little spoiled at home with an expensive mattress and did miss it. It was a great stay all around. The owner/person at the desk was very helpful since the beginning. He answered all our questions and showed us all the good places on the map. We also accidentally left the key inside the room and he kindly gave us another one. The place is at walking distance from most eatery places and attractions in town, e.g. 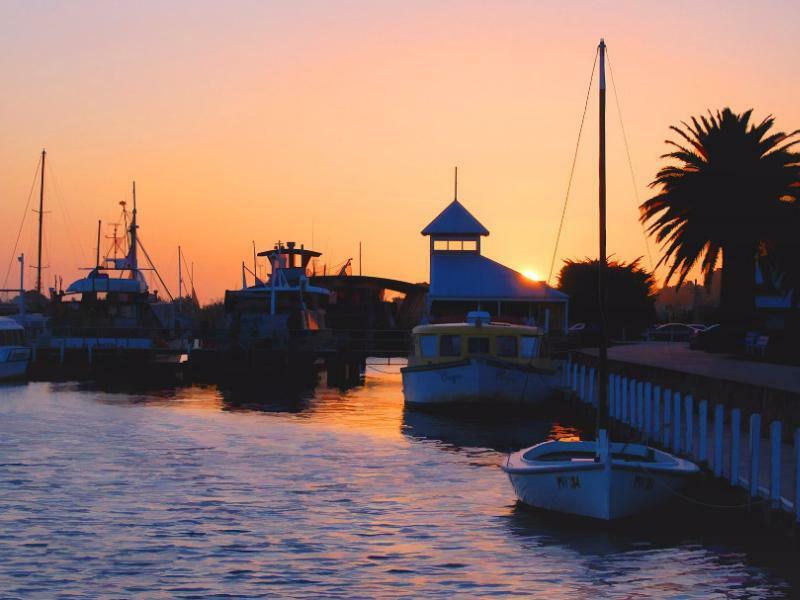 the boat rentals are just a block away. Prices are also very good. The experience is far from luxurious but you get a decent room with decent space, clean facilities, and extra money in your pocket to use on your stay. Definitely recommend it! The View, The people ard the area are very friendly, The location was perfect. Check in was easy and friendly but forgot to mention that usage of the additional single bed is chargeable. Although belatedly they only charge 50%. The motel is a bit old but was reasonably clean. Overall abit over price relative to most hotel/motel we stayed in. The room was dated but very clean and comfortable. The ensuite is tiny weeny but adequate, whilst the bed was firm and comfortable. The one thing I didn't like was the vertical blinds on the window - for privacy during the day they need to be fully closed leading to a dark room. I would like to see a curtain for better privacy. The rooms at the rear of the motel would be quieter, due to the busy road. All in all, a good stay for a great price. 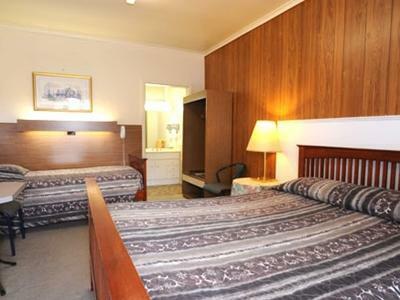 Motel is obviously very old and rooms very small. Has been renovated at some time and staff try to please, but still below par. Car parking spaces too small, if everyone parked in their allocated spot, car doors could not be opened. Would not stay there again & could not recommend to others. Good to Stay and very close to Beach Site. Excellent while you check in..
Stay here, it's cheap and fantastic! Great location along the main road. Clean and comfortable. Reasonable pricing, parking right outside room convenient location. The size of the room was decent and the bed was comfortable. For an overnight stopover, this place is value for money. The reception was very friendly and helpful. Highly recommended! Clean & comfortable. Across the road from the water, great position. Close to the RSL (book if wanting to eat there) and other food outlets. Great price. The reservation says checkout time as 10:00pm on 26th Jan. The Hotel staff asked us to vacate at 10:00am on 26th Jan. So there was unnecessary conflict between the hotel staff and us. That is really bad and spoiled the overall trip awesome mood. And the hotel management staff initially demanded 20$ for every 30 minutes from 10:00am on 26th Jan. So had to rush up and check out in 20 mins (unplanned check out) with kids and family,that was really bad experience. They said raise the complain with Agoda for this issue they can take the responsibility of wrong checkout time given.